Research conducted by Underwriter's Laboratories (UL), National Institute of Standards Technology (NIST), Roofing Industry Committee on Weather Issues (RICOWI), and the Spray Polyurethane Foam Alliance (SPFA), among others, have all documented evidence of spray foam's ability to provide protection from severe weather like tornados and hurricanes better than most any other roof system. UL's test results show that when spray foam is applied to steel and plywood assemblies, the assemblies demonstrated uplift load resistance that exceed the limits of the testing equipment. "The application of Sprayed foam to steel deck and plywood deck demonstrated uplift load resistance up to the capacity of the test equipment to develop load (160-165 psf) without any sign of elimination or other damage to the foam." - Underwriters Laboratories, Inc.
NIST published a report focusing on the damage from hurricanes Katrina and Rita. The research found that SPF roofs were the only type of roofing system that performed "extremely well" during the disasters. 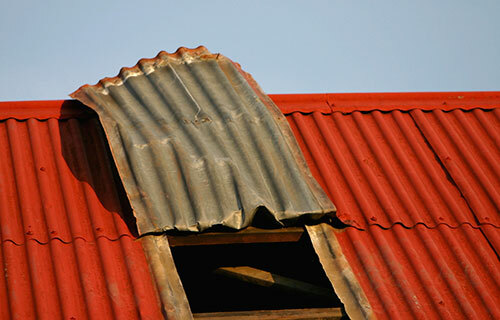 The report also described how SPF roofing withstood Hurricane Katrina's winds without tearing off or damaging flashings. Our Grand Rapids spray foam contractors provide high-quality spray foam insulation services for residential and commercial applications and foam roofing services for industrial and commercial buildings near and throughout Michigan. We offer competitive spray foam insulation pricing in MI and ultimately help you save money on utility bills.